Using state of the art technology to achieve state of the art results! 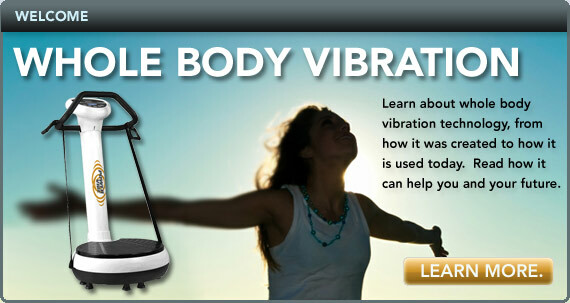 Whole Body Vibration (WBV) tricks the body into believing a person is falling. This in turn engages the core muscles of the stomach and the lower back to stabilize a person. By strengthening the core muscles or abdominal muscles, a person stands straighter, and has better posture. Abdominal muscles attach to the spine and pelvis; this is why when a person runs, jumps, walks, or anything involving proper posture, the muscles in the abdomen always engage. If a person has weak abdominal muscles, chances are a sore back is a common complaint. WBV engages the abdominal muscles as well as other major muscle groups. WBV gets the muscles moving without the exercise. Another added benefit of WBV is the release of natural endorphins that make a person feel good, and better circulation of blood and oxygen throughout the body as a whole. This in turn pushes more fluid through the bodies natural filtration systems and helps remove toxins within the body. Whole Body Vibration is not a total body workout machine. WBV cannot promise thin thighs and flat stomachs in 6 weeks, but WBV can improve abdominal support, increase circulation and help rid the body of toxins through out the body. WBV is not a new science, in fact WBV has over 40 years of scientific research and athletes, astronauts and celebrities utilize this therapy. The benefit of WBV is the therapy can be customized to be as easy or as difficult as you personally make it. With the help of your therapist or chiropractor, you will notice a difference inside and out. Helps to improve your balance and coordination by training your equilibrium sense. Helps to improve bone mineral density.